Start brushing up on your Bingo lingo, and be 'first on board' ... That's right ladies & gentlemen, Bingo Night is coming to DTH-Maui! 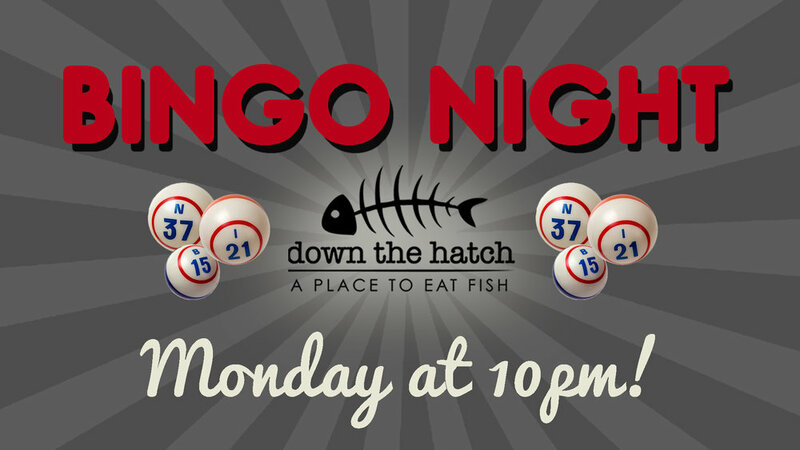 Down the Hatch's will hosts Bingo Night every 2nd Monday of the month starting @ 10pm. Bingo Night is FREE, with your chance to win DTH cash to put towards your food or your bar tab... your welcome. Food & Drink specials start at 10pm! Check out our sister restaurant right next door!